BEIRUT (AP) — Syrian troops and rebels fought Tuesday in suburbs of Damascus as well as near Aleppo's airport, stopping all flights in and out of the northern city, activists and state media said. The intense fighting underlined the rebels' tenacity in the capital and around Aleppo, Syria's largest city, but also the determination of the Bashar Assad regime to carry on fighting. Activists say more than 45,000 people have been killed in the 22-month civil war. In the past few weeks, rebels have stepped up their attacks on airports in Aleppo province, trying to chip away at the air power that poses the biggest challenge to their advances against Assad's forces. The Syrian air force has been bombing and strafing rebel positions and attacking towns under opposition control, but the rebels have no planes or effective anti-aircraft weapons to counter the attacks. The Britain-based Syrian Observatory for Human Rights said the fighting around the base of Syrian army Brigade 80, part of a force protecting Aleppo's airport, led to the closure of the airport late Monday. "Heavy fighting is taking place around Brigade 80," said Rami Abdul-Rahman who heads the Observatory. The Observatory relies on a network of activists around Syria. "The airport has been closed since yesterday." The Syrian government had no comment on the closing of the airport. 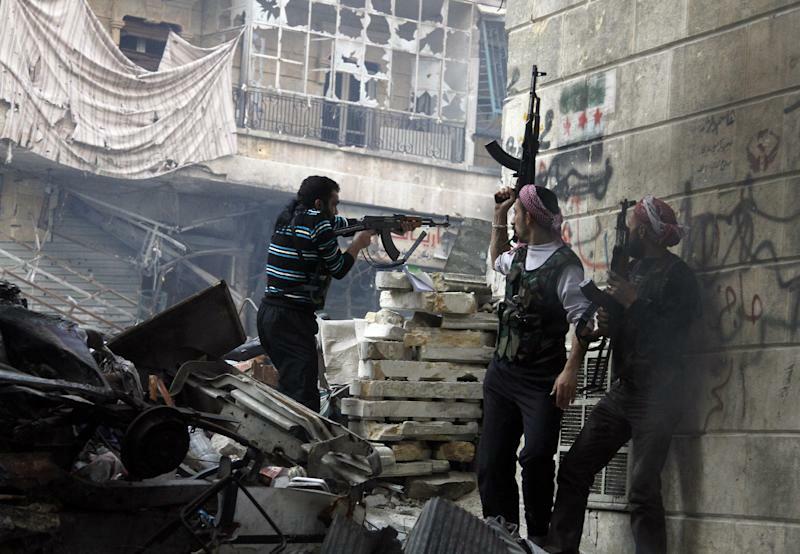 On Saturday, Syria's national airline canceled a flight to Aleppo because of fighting nearby. Rebels have warned that they would target civilian as well as military planes using the Aleppo International Airport, saying the regime is using civilian planes to bring in supplies and weapons. The rebels have been attacking three other airports in the Aleppo area, including a military helicopter base near the Turkish border. Rebels have posted dozens of videos online showing fighters shooting mortars, homemade rockets and sniper rifles at targets inside the bases. 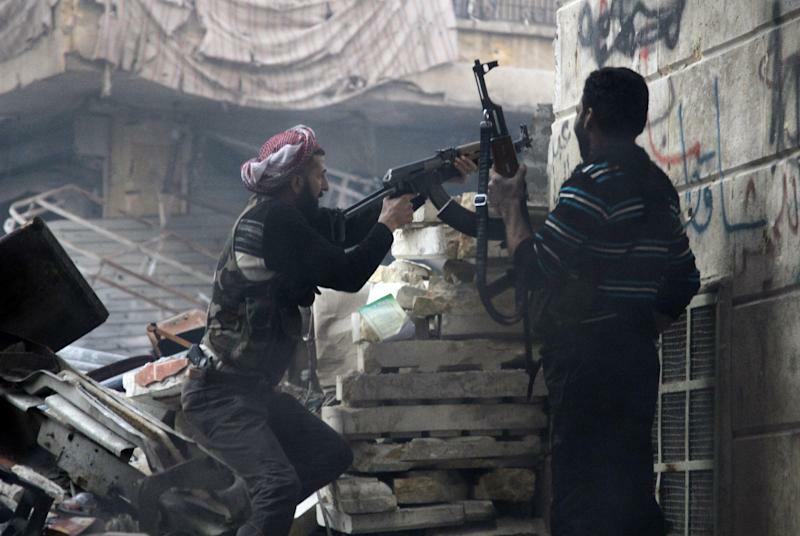 Activists also reported heavy fighting in the Damascus suburb of Daraya. The Observatory and activist Mohammed Saeed, who is based near Damascus, said Syrian warplanes took part in bombing Daraya on Tuesday. State-run news agency SANA said troops killed "tens of terrorists" in Daraya and nearby areas. The regime refers to rebels as "terrorists." Daraya is few kilometers (miles) from the strategic military air base of Mazzeh in a western neighborhood of the capital.